The demand for new genetic tests and genetic services is growing exponentially, largely because they are more readily available and affordable than ever before. 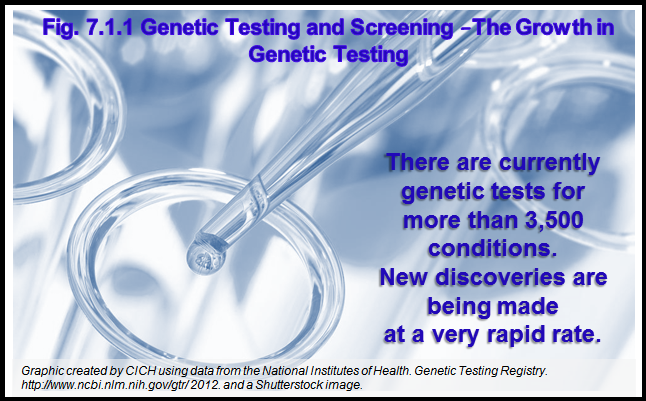 In addition, genetic testing can now be used for both rare and common conditions.1 Requests for genetic tests and related services are increasing for chronic conditions, such as cardiovascular diseases, developmental delay, dysmorphic features, neurological disorders (e.g., neonatal seizures), and eye diseases (e.g., retinoblastoma). 1McMaster Health Forum. Evidence Brief: Coordinating the Use of Genetic Tests and Related Services in British Columbia. Hamilton, Canada: McMaster Health Forum; 2012.